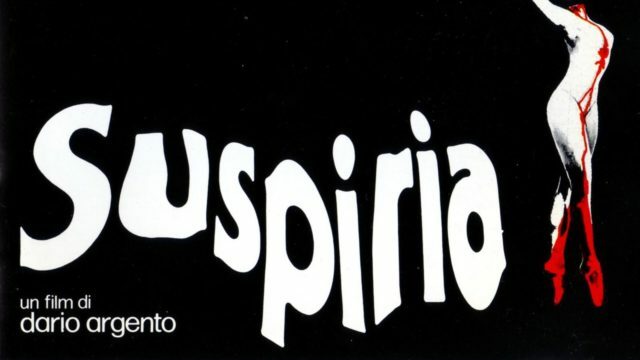 Recently it was announced that cult 1977 Horror film, ‘Suspiria’, directed by Dario Argento would be rebooted and had recently completed principal photography. What was perhaps even more exciting news was the announcement that Radiohead frontman Thom Yorke had signed on to compose the eerie score. To celebrate the announcement, today we’re going to dive back into the archives and look at the original’s fantastically terrifying soundtrack. Originally an Italian production the film follows a young girl’s move to Berlin to join a prestigious ballet school. From her arrival things don’t seem right and the film starts to justify her suspicions as the horrible secrets of the ballet school begin to surface. The original film is still a terrifying watch, filling the viewer with constant unease through the use of bizarre and surreal sequences adorned by a truly haunting score. The artist employed by director Dario Argento was Italian progressive rock group Goblin, who had worked with Argento previously on his 1975 film Profondo Rosso. Considering it was only the band’s second ever film score, what they achieved was nothing short of amazing. In a genre of film where music has almost the biggest influence over manipulating the emotions of the audience, Goblin were incredibly successful in creating something that complimented both the eerie and manic tone of the film. The best example of this is the film’s recurring theme, which over the course of six minutes builds layer after layer of erratic and constantly evolving instrumentation. The piece starts with a sweet, tinkling melody on bells. From there the mood begins to shift as what sounds like a Bazouki is introduced playing dissonant and unsettling chords, proceeded by a terrifying, continuous chant which is then layered on top. Just as the piece begins to fade out it suddenly returns with a pulsing prog-rock movement. This is made all the more unnerving by the unrelenting sounds of foreboding synthesisers and the droning resonance of single tom-drum hits. It’s safe to say we are eagerly awaiting Thom Yorke’s take on the original masterpiece.